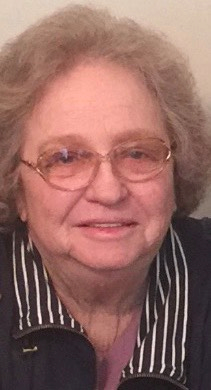 Mary E. Boyette, 83 of Greencastle went to be with the Lord March 20th, 2019. She was born March 24th, 1935 to the late Earl and Mary (Bourkis) Powell. Mary married William Boyette October 20th, 1955 and he survives. She is also survived by her sons Billy Boyette and Jesse “Karl” Boyette and his wife Anna; daughter Sandy Masten and her husband Brent; brother Walter Powell; sisters Jo Brewer and Polly Moore; 11 grandchildren and 3 great-grandchildren. She is preceded in death by her brother Earl Powell and daughter-in-law Lavada Boyette. A Celebration of Life for Mary will be at 2:00 pm Sunday March 24thth, 2019 at Whitaker Funeral Home. Visitation will be from 1:00 pm until the service time of 2:00 pm. In lieu of flowers donations may be made to the American Diabetes Association, www.diabetes.org.